Most outdoor enthusiasts will be aware that Hilleberg make great tents – and the Keron is a fantastic example of the proven designs, top quality materials and flawless production used by the Swedish-based company. But as much as I like this tent – it isn’t suitable for everyone. 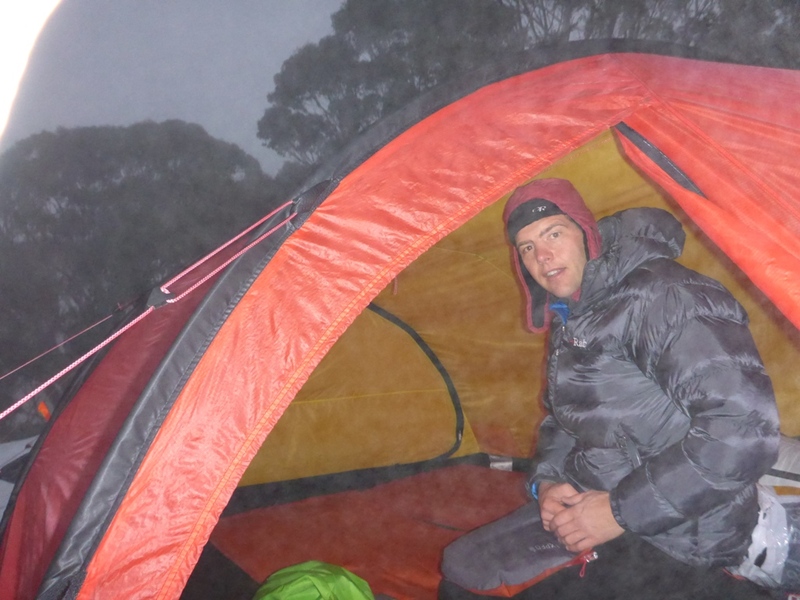 If you are an ultralight or long distance backpacker you will find the 4.6kg claimed weight unacceptable. If you normally camp in warm weather and/or protected conditions this tent is overkill. If you want to go car camping you will find a big dome tent that will do the job for a fraction of the price (albeit much weaker and heavier). 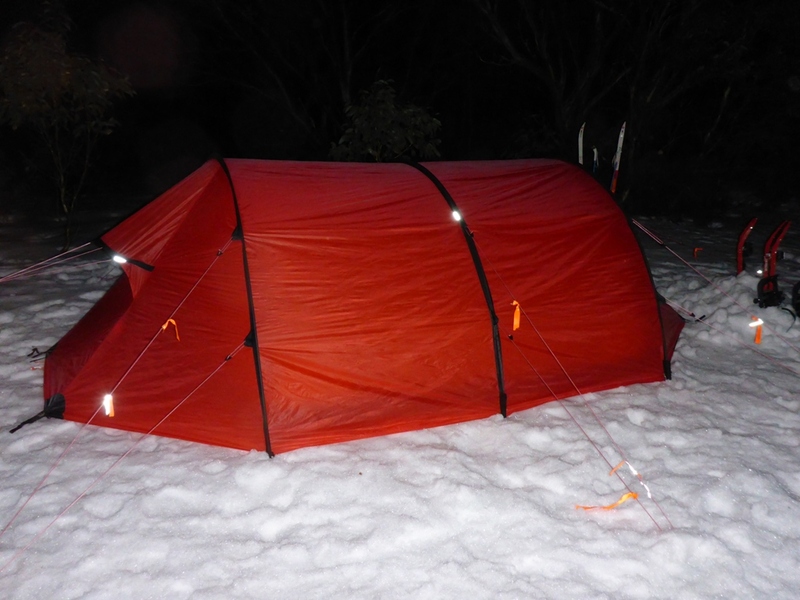 But if you are looking for a bullet-proof 4 person “all rounder” this tent is a great choice. I think it is well sized for a family of 4 and we can just fit 1 Exped LW (Long Wide) mat and 3 standard width Exped mats in. If I was going on a cold weather man-trip it would be very comfortable for 3 people. With only 2 people there is heaps of space. 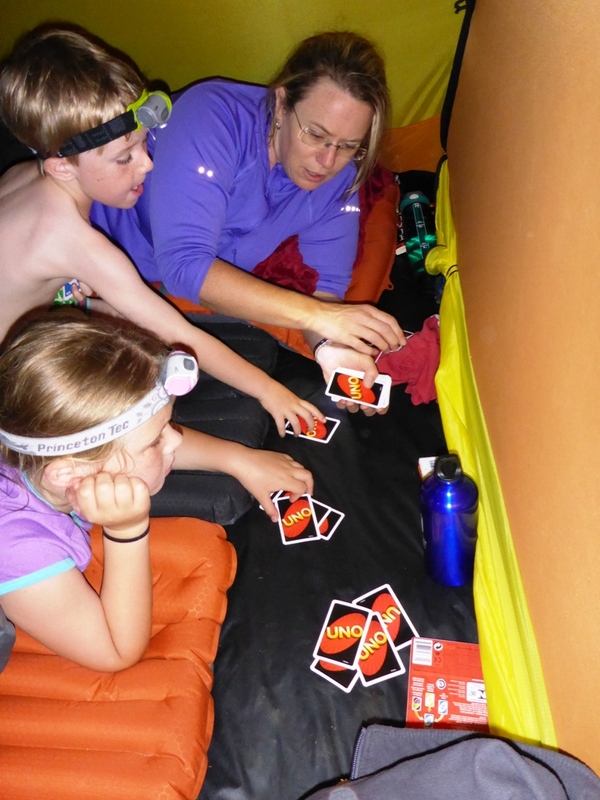 There is enough room to play cards. Note the vertical door/mesh on the right hand side. The tent is symmetrical with the same vertical door at the other end. In warmer conditions the solid door panel can be rolled up and clipped at the bottom as shown here. 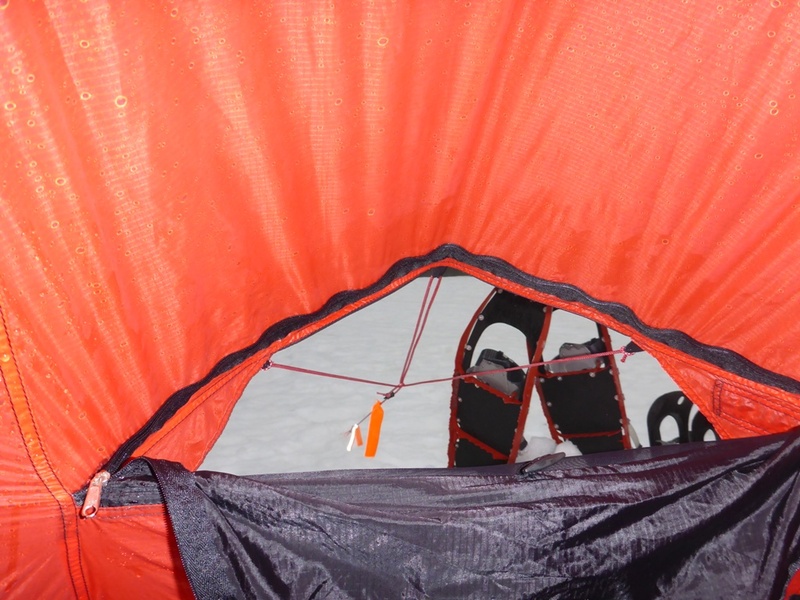 The vertical wall at the foot end is a key difference between the Keron/ Kaitum models and the more compact Nammatj/Nallo tents which have a sloping and tapering foot end. 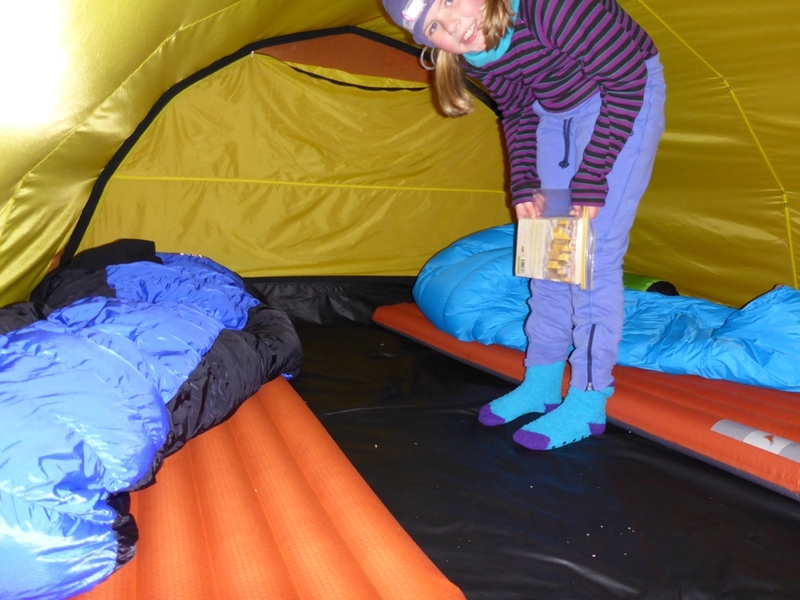 Although the sloping foot end results in a lighter tent – in some conditions users may experience condensation and moisture problems wetting the foot of their sleeping bag. If I was going to buy the Nammatj or Nallo I would certainly consider the GT (extended vestibule option) as these models only have 1 vestibule/entrance. But the 2 vestibules of the Keron provide sufficient space for my needs. There is a vent at each end which can either be open (as shown), insect mesh or a snow proof/breathable panel. The vestibules are the same size at each end. We normally leave the packs in one end and enter/exit via the other end. 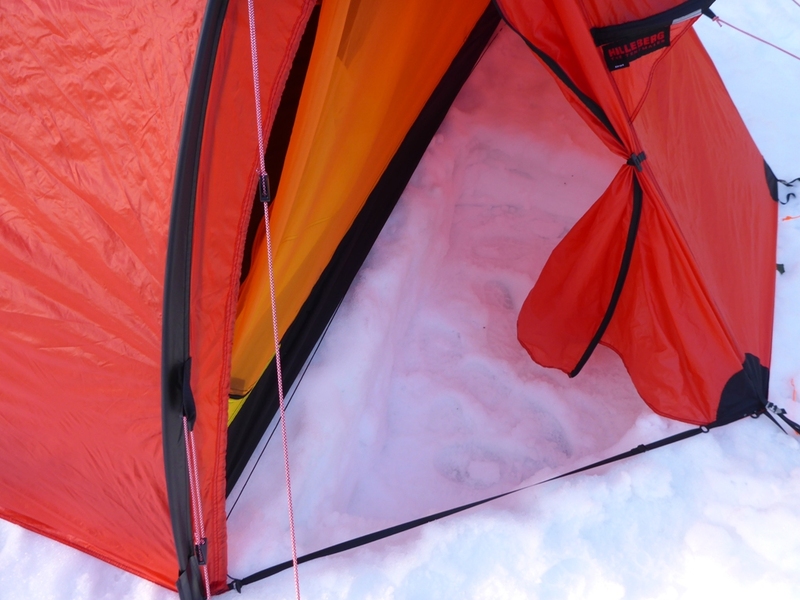 When snow camping I normally like to dig a hole in the vestibule to make entering and exiting the tent a bit easier. It also provides a bit more space and makes cooking a bit safer because any spills won’t get into the tent inner and the flames are further away from the tent fabric. The tent comes with a few small patches of refelctive tape – but I have added a few more orange ribbons with reflective tape to the guy lines to reduce the likelihood of (little) people tripping over them. Getting a nice taut pitch normally requires a few guy lines. But if there is no wind I wouldn’t bother in sheltered locations. 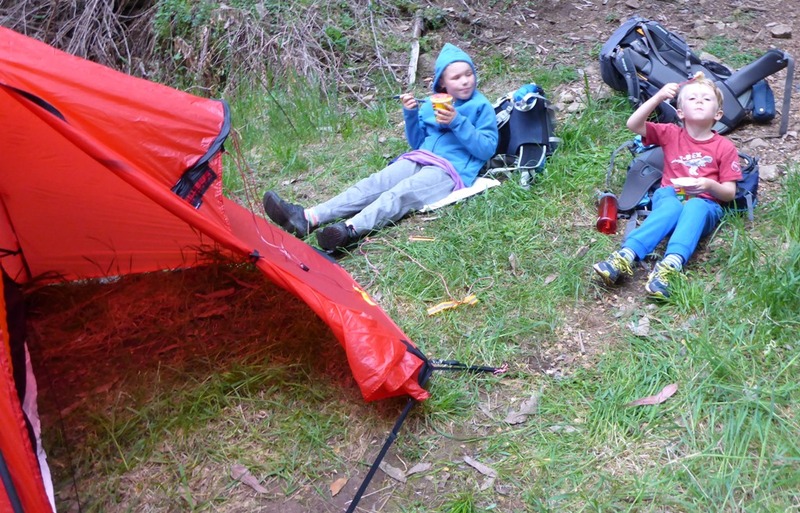 When you are taking little people into the mountains – the last thing you want to worry about is whether your tent will still be standing in the morning. The Keron uses 18 pegs when fully pegged out. This can take a while to set up and also to dig out the pegs from snow when an icy crust has formed overnight. Make sure you have a snow shovel or ice axe handy. I have had this tent for about a year now and used it on a handful of trips. I haven’t used it in adverse conditions yet but I am confident that it can handle anything I am going to encounter in the Australian bush. 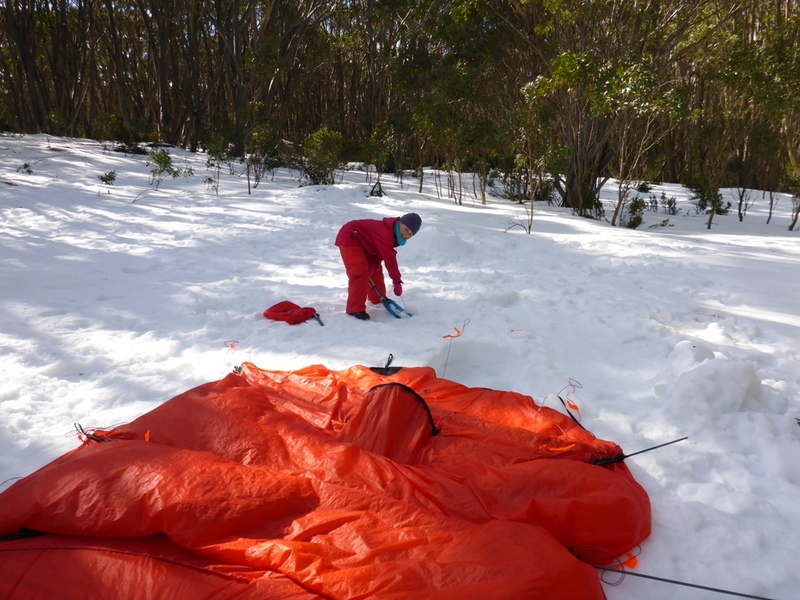 It is generally accepted that a tunnel tent won’t handle snow loading as well as dome or geodesic style tent – and I agree that the large, flat sections on the top of this tent could tend to build up with snow and sag a bit. 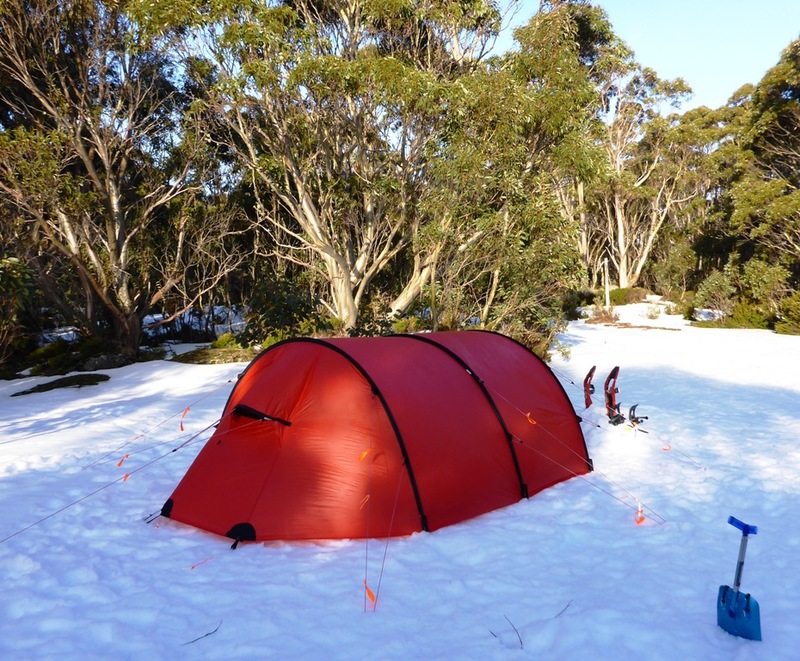 I can’t see that being much of a problem for me as I am unlikely to leave the tent unattended for any length of time in heavy snowfall. I am happy to trade off the extra strength of a dome tent for the increased internal volume of the tunnel. 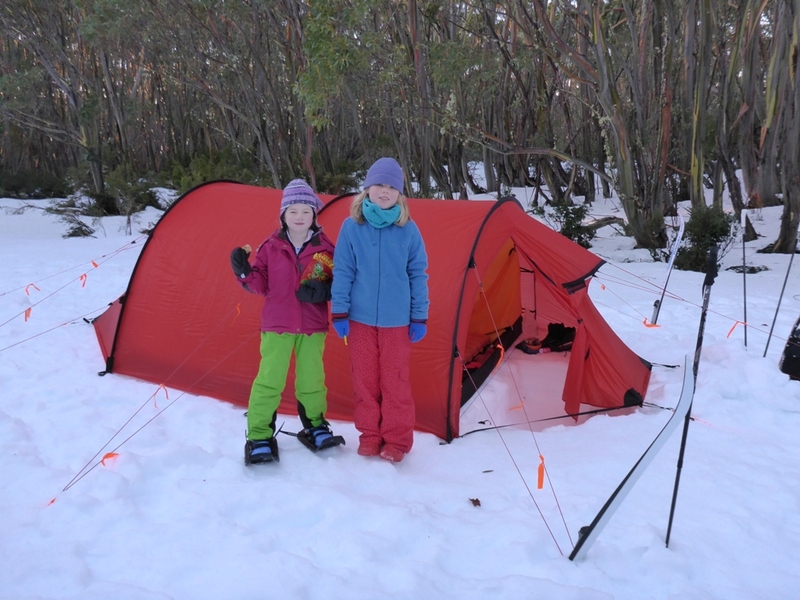 All Hilleberg tents are a single pitch design meaning the outer and inner tent are attached. 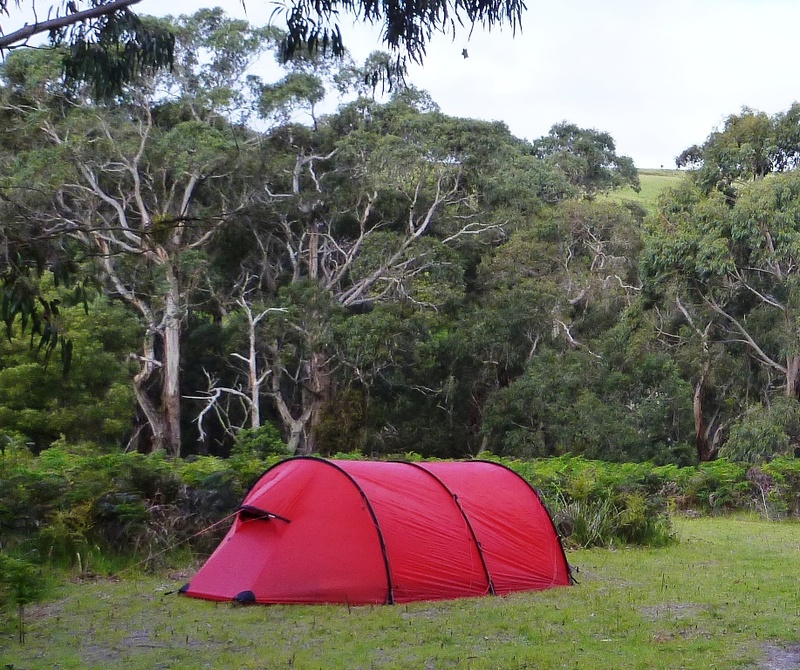 This makes it far easier and quicker to setup than most tents that require the inner to be setup with the poles and then the outer thrown over the top and connected separately – especially in rainy or windy conditions. You can disconnect the Keron outer and inner in a few minutes and erect either the inner tent on it’s own (warm weather bug protection) or the outer on it’s own (bad weather group shelter) but I doubt that I will ever use it in either of these modes. 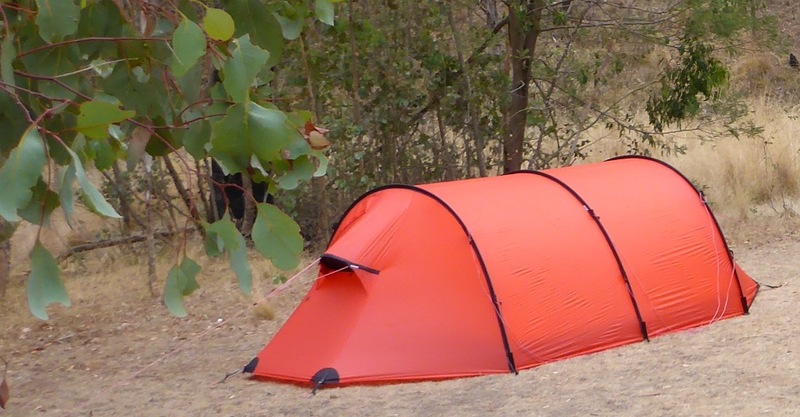 My other hiking tent (Exped Auriga) is also a single pitch design which is great and I expect any future tents I buy will also be single pitch. Thanks for the feedback. 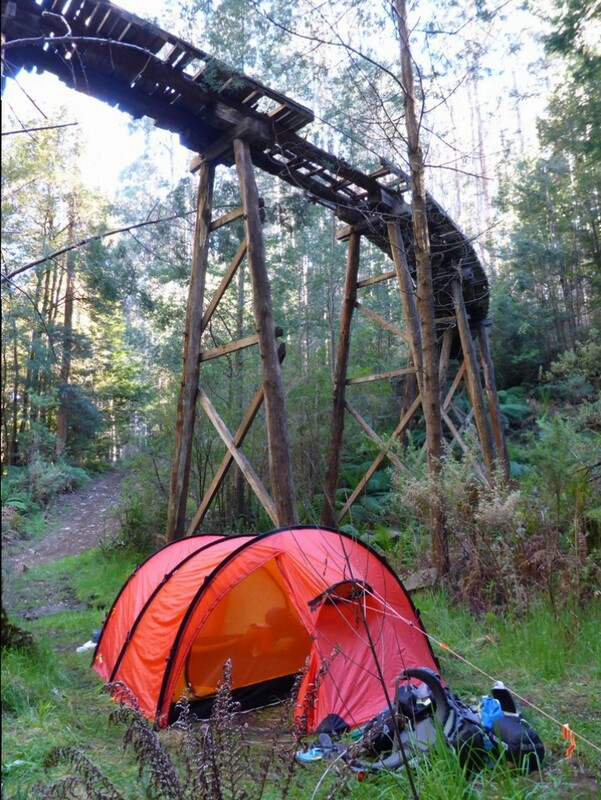 Perhaps you can write a gear review on your Nallo 4 GT after you have had a few more trips with it. Cheers.